About every other year, Smithsonian Gardens teams up with the United States Botanic Garden to mount a show of highlights from their vast collections. Each show is uniquely themed and takes place in one of the Smithsonian Buildings along the National Mall. In 2016, a naturalistic floral display at the Natural History museum amusingly echoed the dioramas of the nearby exhibit halls. Another year, the exhibit featured a rainforest-like setting that was created in the Botanic Garden’s own Garden Court. This year, they switched it up with a minimalistic display in the main lobby of the Smithsonian’s modern art museum the Hirshhorn. When I read of the location, the artist in me was thrilled with the pairing of art and flowers, and I was excited to see how the exhibit would make use of the curved architecture of the museum. Each potted plant was placed in a size-specific cubby that made a system of connected shelves along the inner wall of the lobby. I was a little skeptical when I saw pictures online, but in person the orchids are practically popping off the white shelves with colorful personality. This stark approach was a departure from the previous tendency to present the flowers as they might appear in their tropical homelands. It was a great use of this unusual space. Photographing the show was a constant push and pull of admiring the orchids up close, and then considering how each fit into a combined whole. Together, they formed what looked like a living periodic table, overflowing with drooping leaves and profuse blooms. The effect encouraged viewers to appreciate an orchid on its own terms, and also in relation to other varieties. A great thing about the choice of display was that it isolated smaller orchids and less-flashy flowers that might get overlooked in a busier setup. The volunteer attendants were super informative, and happy to offer up their encyclopedic orchid knowledge. I learned that all of the orchids in the show are from tropical parts of the world, and have adapted their appearance to attract various pollinators depending if they are on the ground, in-between branches, or high up in a forest canopy. As the blooms only last about a week or so, the whole display will be rotated out several times during the four-month run of the show. 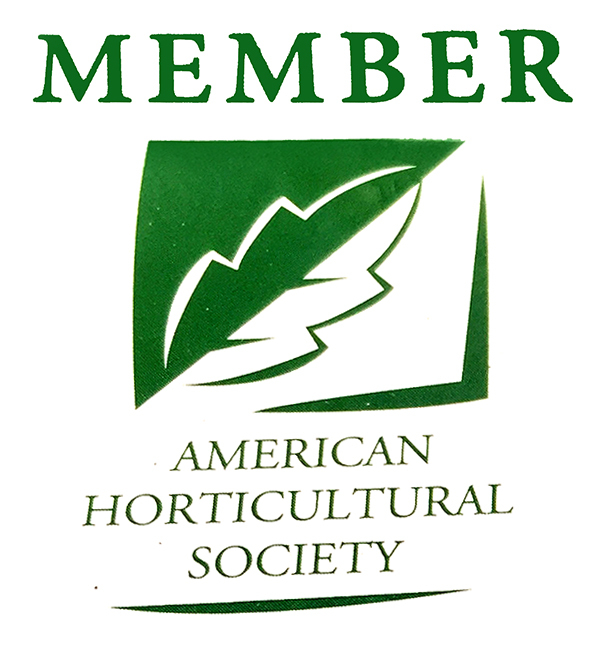 One volunteer made me thoroughly jealous with tales of her training session at the off-site greenhouses that hold the complete collection of around 8,000 specimens of these enchanting plants. I have taken photos of multiple Smithsonian orchid shows over the years, but I‘ve never gotten such an up-close look at how many forms this plant can take. 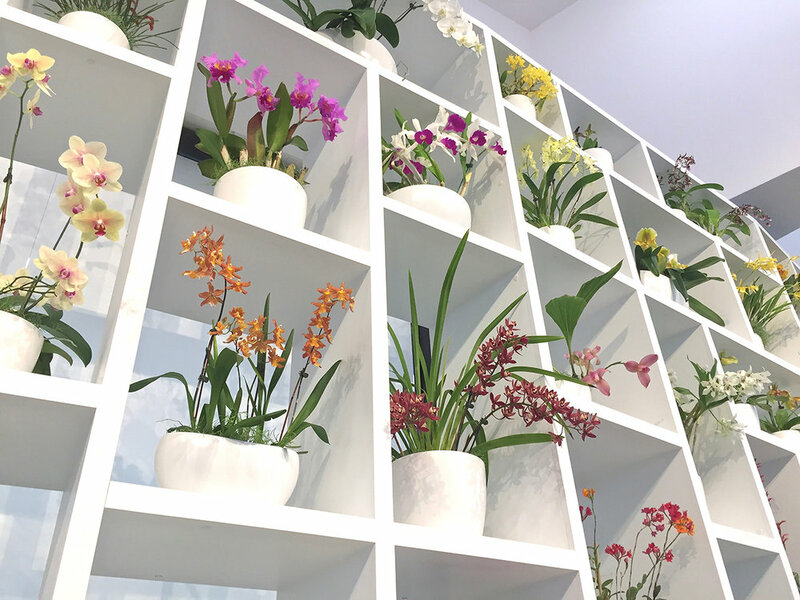 There was obvious careful curation in how the show was put together, and the way that every orchid is framed in a white box shows off its individual character. 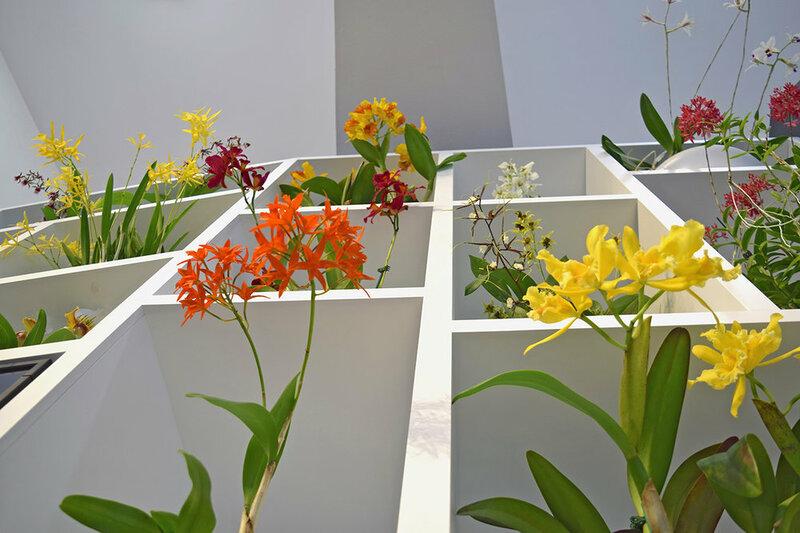 At first glance the show might seem overly modern and clean, but orchids have never appeared so playful and full of life when allowed to be viewed on their own. >> Visit “orchids: A MOMENT,” on display until May 14th, 2017.